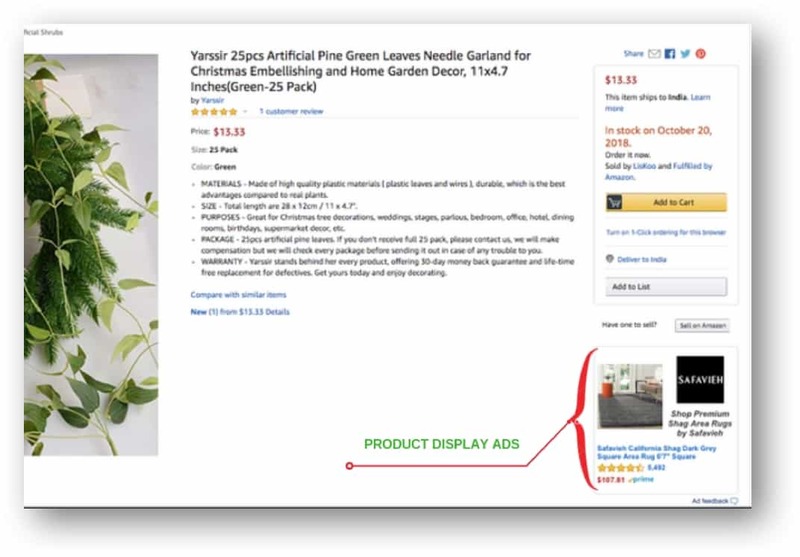 You’ve been seeing those Amazon ads everywhere, but you don’t exactly know what is Amazon PPC (Pay Per Click) advertising and how they work? So as a seller new to Ads, it’s important to know the terms related to Amazon PPC because they can easily ruin your budget if you don’t know what you’re doing. To make things a lot easier for you, SellerApp’s advanced PPC Analyzer tool gives you automated, relaible insights from your sponsored ads data in a single click. 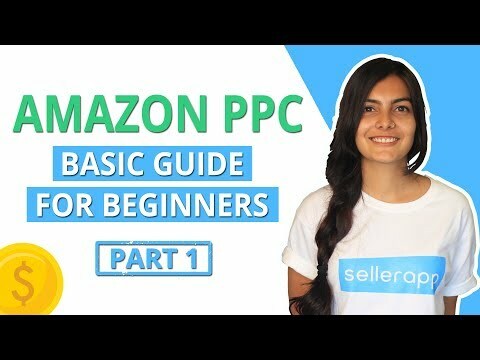 If you want a detailed insight what Pay Per Click is, here’s a complete Amazon PPC guide that highlights Amazon ads and gives you a definite idea to run a successful Amazon sponsored ads campaign. What is Amazon PPC? How the Auction Works? How does Amazon paid search work? 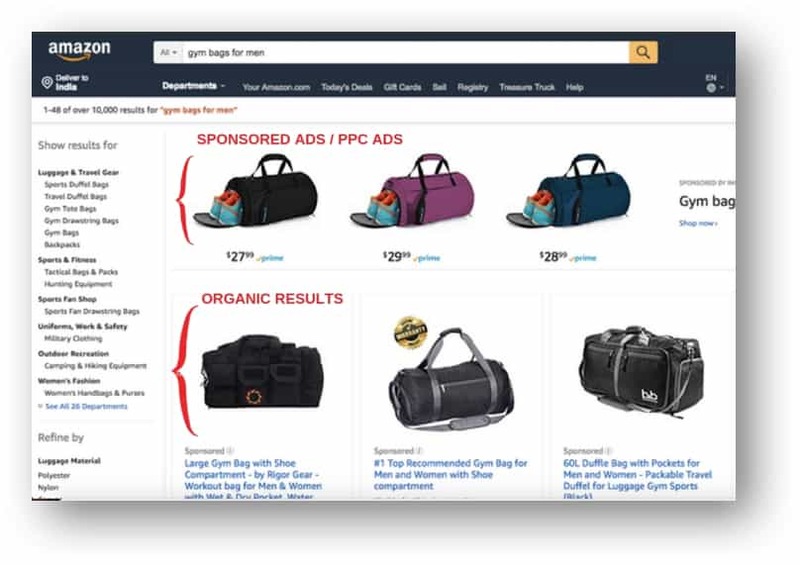 Amazon PPC (also known as Sponsored Products) is a well-known advertising platform to help sellers amplify their product sales online. Pay-per-click (PPC) advertising is a method where an advertiser pays only for the advertisement that a potential buyer clicks and views the product. 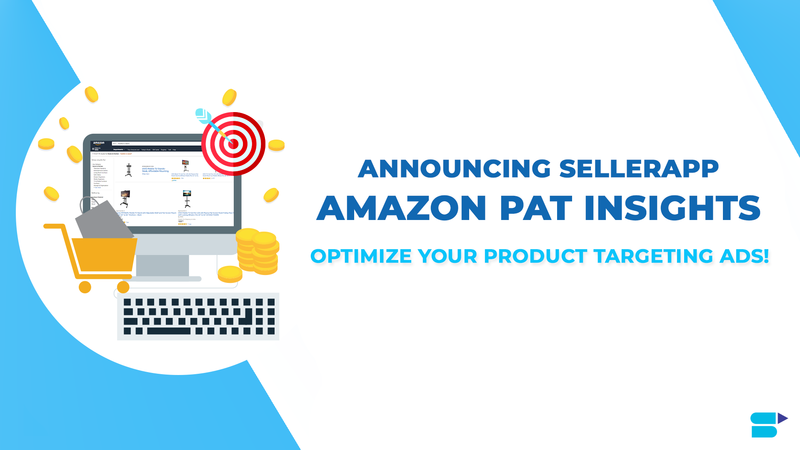 Only when an Amazon PPC campaign is created, managed, and executed properly, it helps to amplify the sales, and thereby, improving the organic rankings too. This method is also called CPC. PPC works differently than pay-per-mail advertising PPM, which is an impressions-based method of advertising like Facebook uses. With PPM, the advertiser pays for every 1,000 people who see the ad, versus those who click on the ads. 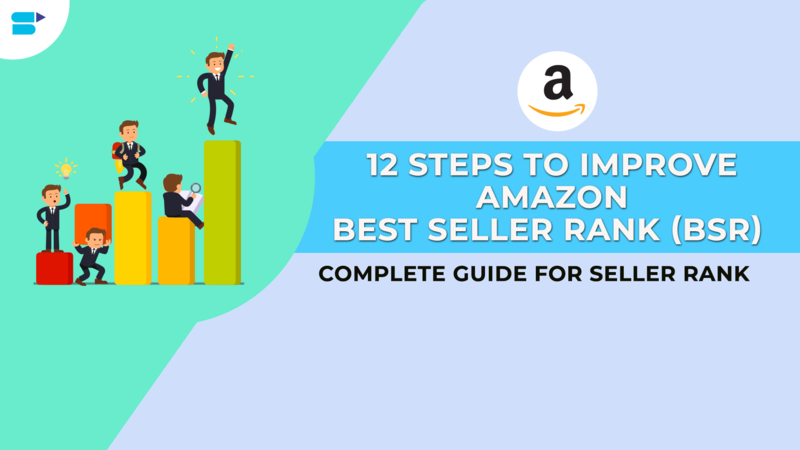 Amazon ads are one of the ideal ways for a seller to “get or buy” the top position of the Amazon SERPs. Since advertisers pay only when a shopper clicks the ad, the concept was named – Amazon Pay Per Click. When Should You Activate Amazon Pay Per Click (PPC)? We recommend that you activate your Amazon Pay Per Click (PPC) as soon as you have a new listing. To improve the effectiveness of your Amazon PPC campaign, you can wait till your listing has 3- 5 reviews also. 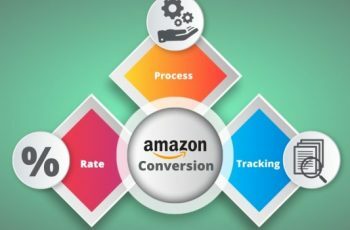 But nevertheless, you should start the Amazon Pay Per Click (PPC) campaign as soon as the listing is live for both identifying the right set of keywords as well as understanding the competition for your keywords. This will also help you understand the typical budget that you need to run Pay Per Click (PPC) campaigns. On the basis of this information, you can also even adjust the pricing to make sure that you are selling profitably. 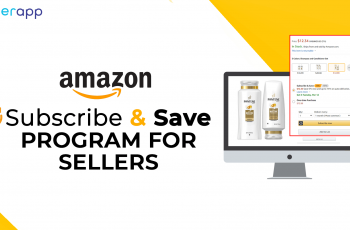 In the year 2012, Amazon, the United States’ leading e-retailer, launched different self-service ad solutions in order to reach potential buyers whenever they looked for products online. Since Amazon is one of the biggest players out there, its shoppers have a higher probability to purchase a product from the website rather than anywhere else. Now, this guarantees one primary thing for sellers – better sales conversions. During the December 2017’s press release, Amazon revealed that they made over 1 billion sales only in the holiday season. This doesn’t stop here. These sales were often coupled with a few other purchases. As of 30th September 2017, The International Academy For Production Engineering (CIRP) evaluates that the Amazon’s Prime Members tend to spend about $1300 per year on average in the US whereas Amazon Echo owners spend approximately $1700. On the other hand, all Amazon customers in the United States spend around $1000 every year. Most importantly, Amazon now ranks second after Google in terms of rankings. 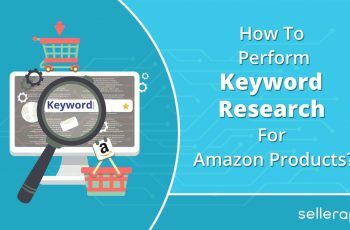 Note that 55% of product searches or keywords initiate from Amazon. This continues to grow year after year. Here is a quick break down of how Amazon’s paid search works. It is not as complicated as it sounds. It is apparent that Amazon marketplace gets millions of searches each month. These include from short terms to long phrases (or what we call as the long-tail keywords). These shoppers are none other than people willing to buy products. Understand that potential shoppers will never do window shopping on Amazon. They are not there to discover ideas. They are all set to buy. All they do is just go to the Amazon search box and type the product name they want to buy. In turn, Amazon fetches a list of products that it feels that it will satisfy the customer needs. Now, these list of products displayed is called “organic” results. However, there is something called “paid” search results. These are displayed above the organic results no matter what you search. Though place above the organic results, they sometimes do appear in between the organic search results, on the right side, or below the organic search results. The concept of Amazon’s sponsored ad program is simple. Every paid search advertising or marketing option of Amazon follows an enhanced auction-based approach wherein vendors and sellers set their day-to-day budget for ads. The higher a vendor or a seller is ready to pay for his/her ad, the greater are the chances for the ad to be displayed. Vendors and sellers pay for their advertisements per-click – this means that they pay an amount every time a buyer clicks on the ad. According to reports, this model has successfully worked for many retail giants. In fact, Business Insider states that Amazon’s paid search revenue in 2017 was $2.8 billion. So, you can imagine the impact of such ads. Let’s look at each PPC ad type in detail. Sponsored Product Ads allows a business to advertise their products depending upon the keywords. When it comes to click-through rates and sales conversions, sponsored product ads always perform great. They are highly beneficial because they intermix with the organic results and impersonate with them. Typically, they are seen below Amazon’s organic search results, somewhere in the product detail page or on the right side of the search results. They work the best only if you have done your homework on keyword research. To set up Sponsored Product ads, just select a product, choose the keyword term, and allocate a budget. Upon doing this, Amazon will target your sponsored ads automatically to the suitable audience. Research shows that many businesses have experienced better sales with Amazon Sponsored Product ads than Google AdWords. Moreover, they are thrice cheaper than Google’s CPCs. 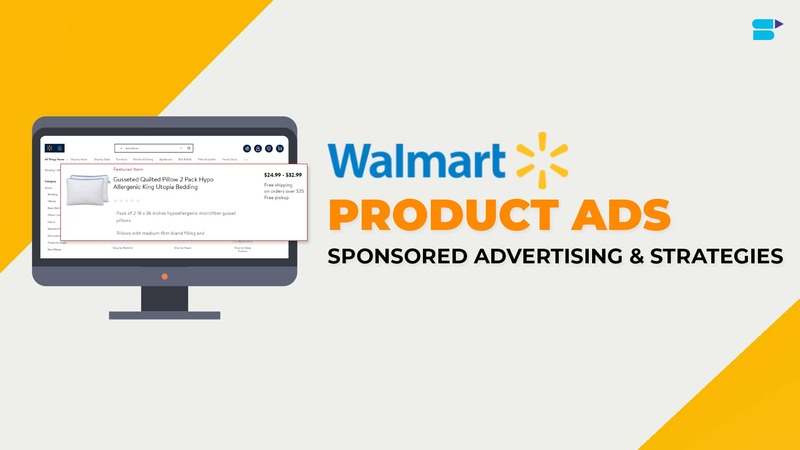 Product Display Ads are another type of PPC ads that are shown on a product page – in the similar product section. These ads are designed to be a self-service option, which is paired with the ASINs and thereby, giving marketers greater options to focus on the behavioral segments. Each ad type has its screen placement section, budgets, and differ greatly in the conversion rate and the click-through rates influences. 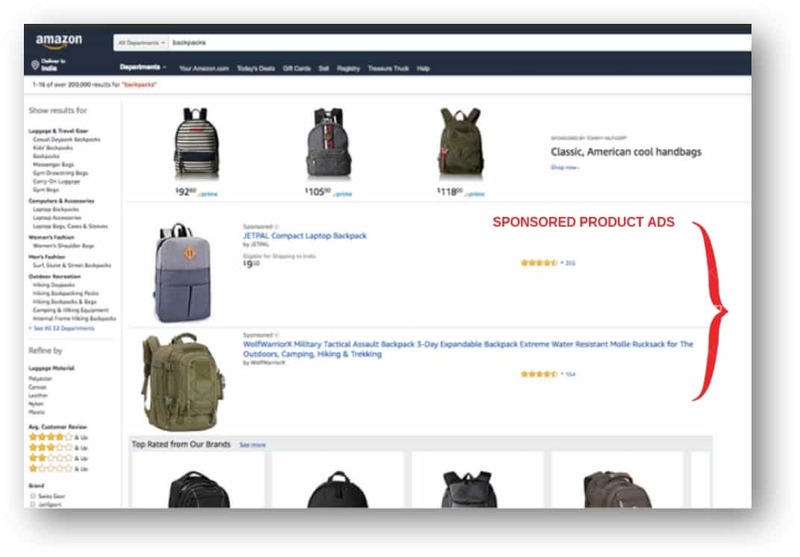 Amazon allows sellers to match every deal with an intended audience for a Display Ad. As a seller, you get to target product’s detail page, related categories, related interests, and complimentary listings. Like Sponsored Ads, a Headline Search Ad is limited to particular product categories. These are none other than the ones that appear on the top of the search results with the brand logo. These are also called banner ads whose objective is to get buyers to click from a group of products. They are placed on the top with an intention to increase the possibilities of a product being seen. With headline ads, you can display multiple products simultaneously, customize the landing destinations, and even the ad copy. This type of Amazon PPC ad offers the largest range of customization. You can choose from your brand pages, product pages, search result pages or a custom URL. You can also choose the text and images shown in the ad. You should match the objectives with the kind of ad you choose. Say, for instance, sponsored ads should be utilized to target shoppers with a purchase intent whereas headline ads serve better if you are trying to create a good brand awareness and finally, product display ads can serve for both purposes. It is important to ensure that you meet the following requirements before running a PPC ad campaign on Amazon. 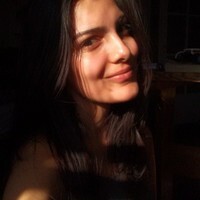 Seller Account: Every advertiser should have a seller account inactive state. Shipping: Every advertiser should be able to ship the products anywhere in the United States. Buy Box: As an advertiser, if you are looking to advertise with the help of Sponsored Products, you need to meet the Buy Box eligibility criteria, which involves further conditions like: holding a professional seller account, show metrics (for cancellation rates, order defect rates, late shipment rates, etc. ), and stock availability. Amazon Brand Registry: This is particularly required when using a headline search ad. The concept of Amazon brand registry is mainly to protect intellectual properties and offer enhanced user experience. If you want to advertise using Headline Search Ads, you must be enrolled in the Amazon Brand Registry. Amazon CPC: The highest bid wins it, as he or she is willing to pay a higher CPC than the other advertisers. Quality Factor: The quality of an Amazon ad is measured by the possibility of a potential buyer clicking on it. Now, this majorly takes the ad’s click history into account. 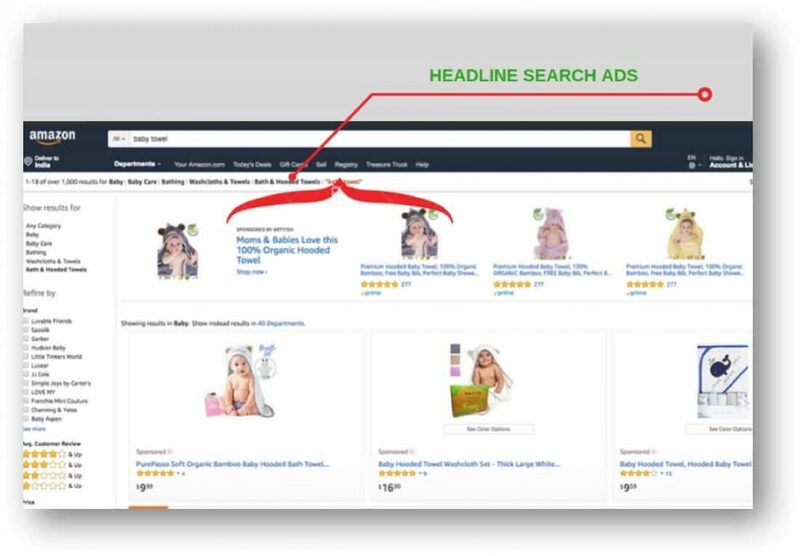 Keep in mind that higher the Amazon CPC bid, the greater are the chances of your ad being placed while competing with other advertisers of the same product. Also, “ad quality” plays a key role here. The higher the quality of your ad, the lesser you will have to bid for your ad to appear in the top position. Search Terms: These are the exact terms that a potential buyer types in the Amazon’s search box. The result is typically your product Ad. It might be out of order, have other words attached to it, misspelled, or contrariwise, it may be same as the typed keyword. Keywords: Amazon Keywords let sellers to choose which search terms they want their ads to show up on Amazon. 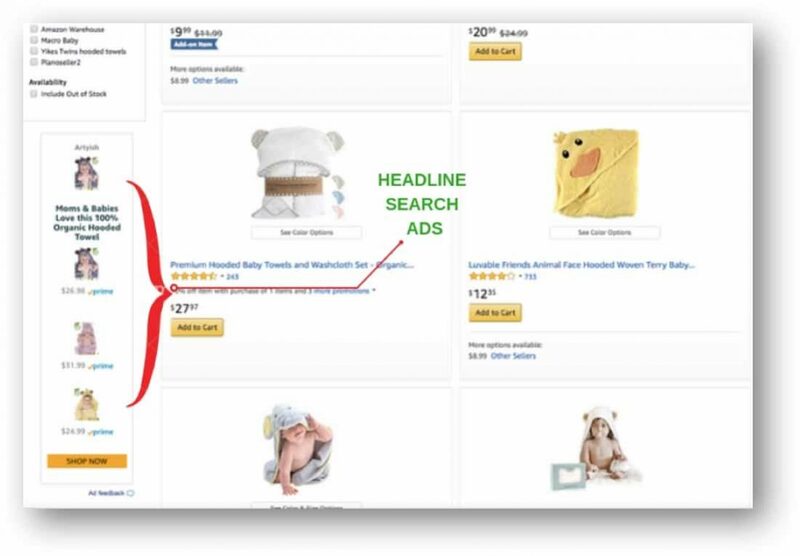 If a seller’s keyword appears same as the buyer’s search term, the ad will be shown on Amazon. Over a period, best selling niches and categories see saturation in the number of sellers. Though your product ranks high in organic searches and has good deals, they can be easily outrun by competitors running PPC campaigns for their products. 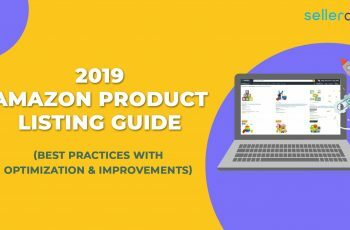 Most top-ranking brands run PPC campaigns to safeguard and retain the top ranks and positions in Amazon searches over competitors who also run PPC. Amazon Sellers see the biggest and the maximum sales during seasonal trends like Christmas, Mother’s day, Halloween, etc. The same goes for the end of season sales and the Q4 quarter. Depending on the product, Amazon Ads can be a great way to generate sales by increased customer interest as a result of seasonality. Did you know that the top 4 ads on Amazon page get 45% of the clicks? Let’s take this example; the search term is benches. The search intent is quite apparent. However, Amazon displays a “baking tool” as the first sponsored product. Avoid such instances of irrelevant ads by choosing the ‘Keyword Match type.’ With Keyword match type, you can decide when to display your product and, based on the matches of the search term with your keywords. Spending on your sponsored ads and still not getting conversions? This usually means higher visibility and sessions for these keywords, as shoppers can use a broader combination of search terms to trigger your ad. Broad match can turn out to be extremely expensive and can drain your money inviting clicks from irrelevant ads and search terms, like the example illustrated above. Broad match is a great way to target more people and get more visibility for your listing. The phrase match is where you specify a phrase and the keywords are matched with terms before or after. The critical feature of phrase match is that it allows you to control the word order. Variations may include misspellings, singulars & plurals, stemming, etc. Example: skiing gloves, ski gloves, abbreviations, and acronyms. Phrase match displays the ad only when the search term is the same as the keyword, but additional words can be added before or after the keyword. The target group of the ad is a medium range and can be triggered by both short search terms, as well as broad search terms. You still enjoy high visibility for your product, however few unnecessary clicks that were generated in the case of broad term match are avoided. This is a good middle ground between broad and exact match, as you have slightly more control over when your ad displays. Type The target group of the ad is very small yet quite precise. Exact Match takes a toll on the number of impressions compared to the other ad types as the ad is displayed to people who are typing the exact search term as your keyword. Amazon PPC Management is a great way to drive in sales. However, it is also a process that requires a lot of research and analysis to pull it off in the right direction. 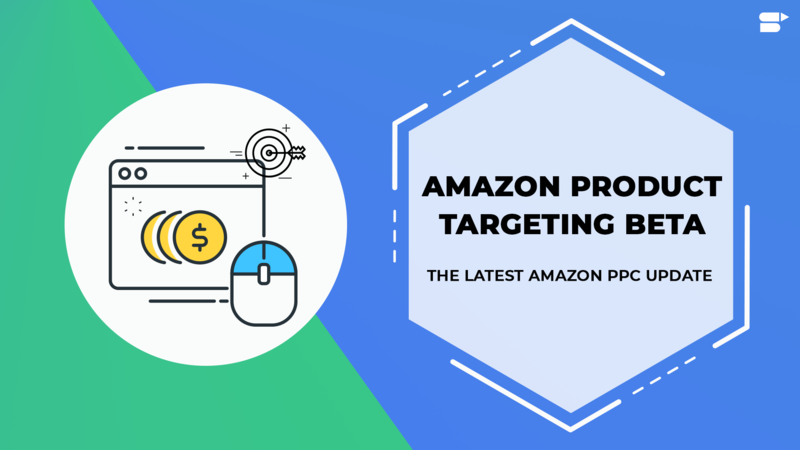 Amazon offers many choices to PPC sellers and campaigns, and if worked in the right direction, Amazon PPC is a great way to make enormous profits. 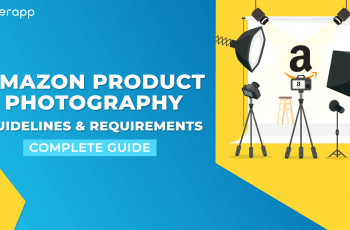 We recommend a robust – 3 step process to make the most of your Amazon PPC campaigns. The objective of the “auto campaign – high bid” is to uncover all the keywords that are relevant for your listing across the price range. The recommended values you have to enter for suggested bid rate for keywords is $5.00 with a daily budget of $20.00 and running for 3 days. The typical bid rates are much lower than $5.00 but when you run this campaign for 3 days with $5.00 as the bid rate, you will get a very good understanding about the range of bid prices and the keywords for which people click your keyword. At the outset, our advice is to activate three campaigns. That’s exactly how I do it. The first campaign is automatic. You can say Amazon: “Hey Amazon, I make an automatic campaign, then Amazon is there and looks at your listing. Then Amazon starts your campaign then all that you have to say is “I pay and so much per click”. Here I recommend, go with a euro in the beginning. You pay only 1 € per click. And to reduce the risk because now you’re saying I’ll pay 100 € a day at once. You can decide it yourself and say at 20 € ‘This is the end’ as an example. Amazon online marketing gives you this benefit. The second campaign is: Do you think about which keywords are important to you? What keywords do people search for before they buy your product? And the third campaign is again one of the things you can do with Google Adwords. Once you’ve set up an account with Google AdWords, you’ll be able to search for specific words in the keyword planner and it’ll also show you other keywords. I think it’s really about mass at the beginning. You want to get as many keywords as possible to see what works. And then it says to wait a week because the data from Amazon are not directly available. Then you can go into the individual campaigns and look exactly through what people have clicked, which keywords made impressions on the user, how many people clicked on it and how many people even ordered. All this keyword data is used to find Amazon hidden keywords. You want to optimize your listing on these keywords that you found. The more keywords you have the better. I’ll explain the importance of the whole thing. The above process. And how does it work? Through sales, Amazon spins up: when your product sells well to your keyword. Then it gets ranked at Amazon. Because Amazon wants to sell and if your product is the best and people buy your product then your product is also placed above. And that is the ultimate goal. The more you go up in organic searches for your keywords you’ve found out. This is the benefit of Amazon advertising. The 6th step is very important. Always optimize again. What has changed, are there more keywords, more lists? And with optimization, I do not mean that you should stop the thing! This campaign is increasing that only what you need to optimize, is how much you spend, you need to ensure that the whole is not the Red goes. The product is just right for someone looking for “rubber boots”. We better take it up! Pay-per-click advertising (PPC) / Amazon marketing is by far the most successful advertising model on the Internet. The inventor of this advertising model was the US company Goto.com, which later renamed Overture and has been trading as Yahoo Search Marketing since the end of February 2006. But Google’s success led to this advertising model: when Google began advertising in 2000, Google named this ad, AdWords was the breakthrough for the commercial success of the search engines. Today it can be assumed that over 90 percent of Google’s revenues come from these ads. Even if there are many similarities between search engine optimization and the booking of PPC ads on a superficial view, both marketing activities differ considerably. The most obvious difference for the user is that the PPC ads are marked as advertisements and highlighted in color. From the point of view of the online market, however, the fact that AdWords advertising is paid per click is the most important difference to search engine optimization. Because search engine optimization initially poses higher requirements, under certain circumstances the complete web appearance has to be completely reworked; if this initial hurdle is taken care of, the following fixed costs remain rather low and the single click is itself “free”. If you want to draw parallels to off-line marketing, search engine optimization is most likely to be compared with public relations work. In both activities, it is very difficult to predict the possible benefits. This means that a press release can be just as unread as an optimization cannot bring about any improvement in position. PPC ads, on the other hand, correspond to the classic advertising, such as in newspapers or magazines. Here and there you can estimate in advance how many people will consume the advertising message. And from experience, both measures are relatively easy to estimate such as ROI (Return On Invest). For particularly short-term activities, PPC displays are excellently suited. Within a very short time, with Google often only in a few minutes, the advertisement is activated and immediately on the web to see. And just as quickly, the ads can be stopped again. This makes PPC advertising an ideal advertising form for special activities of online shops. PPC advertising works on the auction model: Who is willing to pay per visitor at a higher price, will continue to appear within the listed ads above and can gain more visitors. The minimum prices for a booking are usually 0.10 Euro per click; to the top, only the game of supply and demand sets a limit. For particularly popular keywords such as “insurance comparison” or “data rescue”, Google’s advertisers pay more than 10 euros for each click. The Augsburger search engine agency explido provides on its website a monthly comparison of different keywords. There, not only can the approximate prices for particularly sought-after search queries be determined; the sometimes extreme differences in click prices between PPC providers expect out of this formation. Pay-per-click or cost-per-click, abbreviated simply PPC or CPC, comes from the English language area. In English, pay-per-click means “pay or cost to click”. Pay-per-click or PPC has developed in the field of online marketing. Internet pages are provided with advertising banners. For example, on a blog for long-distance travels, you’ll find airline banners or search engines for flight bookings. These advertising banners are operated by companies. As soon as a customer is aware of the advertising, no costs arise. Only when he clicks on the advertising banner and is forwarded to the side of the company does it cost. Behind the system are various ways to operate marketing. Advertising banners can be placed on search engines, blogs, private homepages or company pages. Amazon PPC is based on the same principle. Again, the dealer has the opportunity to influence. Thus, the product appears at all, the product of the needs keyword is considered relevant. This is because the keyword is contained in the product name, for example. Another requirement is that the product in the Amazon Buy box stands. If these two conditions are fulfilled, the advertisement can be displayed. If the keyword is relevant to multiple ads, they are in competition with each other to position the items. To solve this conflict, Amazon takes an auction that decides on the ranking. Hey great post, You have written this blog in a very informative way. Thanks for sharing. Great article and I really like the way you present your post!